On January 19, 1999, The5thQuarter.com began, giving a voice, forum, and community to HBCU marching bands, their members, and supporters. On January 19, 2019 - 20 years later - The 5th shuttered its doors, leaving but a headstone where the liveliest virtual bandroom on the internet once stood. The 5th Quarter began, and endured, as an online bulletin board/forum where the primary topic of conversation, unifying purpose, and raison d'etre was HBCU bands. I have no business writing its eulogy. But then, it's never stopped me before. As a space for HBCU bandheads, I was a lurker, at best an occasional commenter. I don't recall when I first found the 5th, but I know for sure I was there when Drumline came out. If memory serves, I was familiar already, and knew it was a safe haven from other corners of the internet where corps style kids questioned the film's bona fides. It wasn't until later that I learned of the immense impact that the site, and its members, had on the film's creation and success. I called the 5th a virtual bandroom, and perhaps a big part of its gift was being virtually every bandroom. Ask anyone who's ever marched, and they will tell you the bandroom is home, a place born of a common purpose and a common love. In what may seem a paradox on its face, the 5th became that place for members from otherwise rival bandrooms, bound by the HBCU experience, shouting "we all we got," even while not messing with one another otherwise. Twenty years. There are students in HBCU bands now for whom today is the first day that they and the 5th Quarter have not coexisted. Those of us who profess to cover marching and athletic music online must recognize the 5th as our pioneer, griot, and elder statesman. The home they created made that which many of us continue possible. The landscape is now rich for HBCU bands specifically, and all marching bands more generally, but the 5th set the wheels in motion. For that matter, the 5th Quarter is also a pioneer in Black spaces on the internet. The landscape has changed immensely in the past 20 years, and the 5th was on the leading edge. BBS and AOL chat rooms were the currency then, the predecessor to what we now consider social media. Some with some internet longevity may recall BlackPlanet as the premier Black social network of its day; the 5th Quarter predates even its launch by nearly nine months. The 5th was predominantly, authentically, and unapologetically Black on the internet since the dawn of the Cash Money Records takeover. From a personal standpoint: I am proud to consider co-founder Christy Walker a friend of mine. Joe Beard of the Marching Podcast made the introduction over on Twitter, and if I'm perfectly honest, I had to try not to get too geeked, already being familiar with her work. 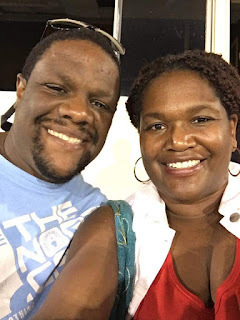 Christy and I met in person for the first time at Queen City Battle of the Bands 2017, and I saw in real life the community that she has played a key role in creating. And while I was late to the live game, this community had been cultivated over those two decades through live events, NLBH, SYOSO, Honda Sky (Phi) Box, and the heathen section wherever such a gathering occurs, as well as media offerings that lived beyond the site itself, including the 5th Quarter podcast and Christy's own presence on whichever social media she inhabits.